I'm a big fan of instant breakfast. There are times when I'd not have planned what to make for breakfast the previous day - which means I wouldn't have soaked any lentils or rice or whatever else, and I'd be left wondering the next morning what to make for breakfast. My husband doesn't like cereal so in my quest to find instant breakfast dishes, I happened to make this one. I had heard about using leftover cooked rice to make dosas, by grinding them with pre-soaked uncooked rice. I did not want to add more rice to rice so thought of adding some oats to it. I also added some rava and a couple of other ingredients. You could also add chopped onion if you have time to chop them (I haven't tried yet). 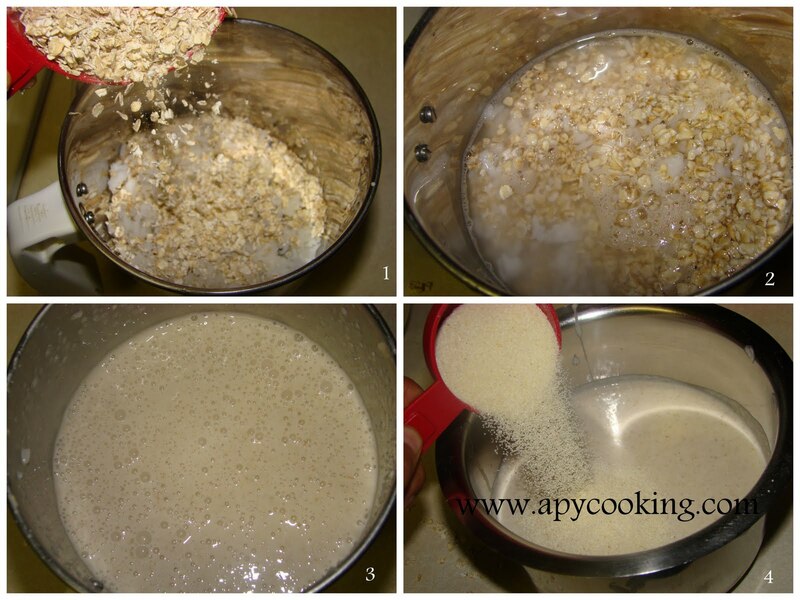 Grind cooked rice and oats with 2 cups water for about a minute or till properly ground. Transfer to a large vessel. Add rava and mix well. Add jeera, chilli powder. Add 3/4 to 1 cup water and mix well (to get a buttermilk like consistency). Add salt to taste [ I added a little more than 1 tsp] and mix well. Roast uncovered on both sides. Note : The dosa takes some time to roast. I roasted one side for 3 minutes, flipped the dosa and roasted for another 2 minutes. 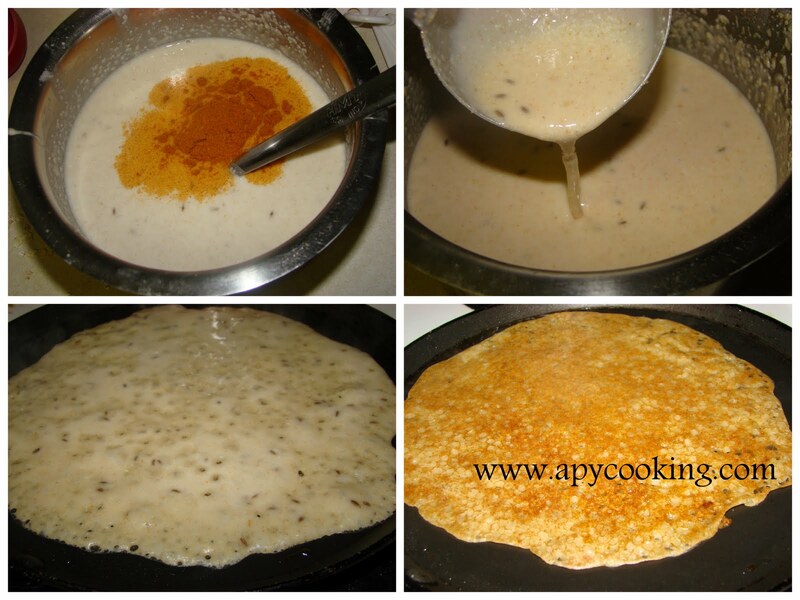 Do not flip until the dosa is roasted well, otherwise it can break in several places. Make sure the griddle is hot before you pour the batter. 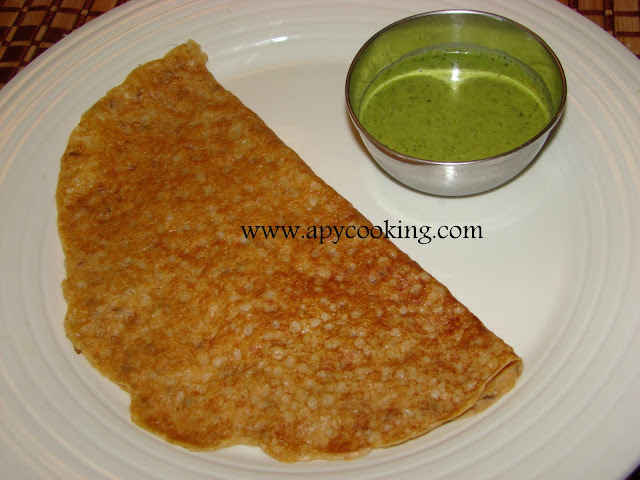 Check my post on Rice Flour Dosa for tips. Very healthy and deliciously cooked rice dosa. Loved the look of them. this is just awesome aparna..yummy dosa..
Bumped into your space as I was given this link by you MIL. I am somehow related to you, and when Shobhana Mayi came to know that I blog, she told me about your blogs! I also went through your other blog and loving both. Happy to be following you. Will be a regular here. Do visit my space when time permits! Paneer Mushroom Masala - and about some masalas.